He was fixture on television for over 30 years, co-hosting Siskel & Ebert at the Movies until Gene Siskel's death in 1999, and then with Richard Roper until 2006. Since 1967, he's been an influential film critic (and was the first to ever win a Pulitzer Prize for film criticism.) In 2006, complications from thyroid-cancer treatment resulted in the loss of ability to eat, drink, or speak. 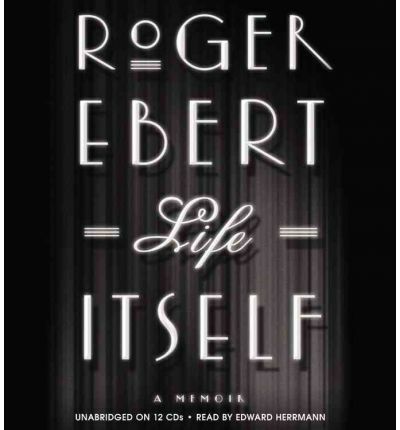 But with the loss of his voice, Ebert has only become a more prolific and influential writer. And now, for the first time, he tells the full, dramatic story of his life and career. He chronicles his loves, losses, and obsessions; his recovery from alcoholism, his marriage, his politics, and his spiritual beliefs. He also provides details about his years at the Sun-Times, his colorful newspaper friends, his friendships with Oprah Winfrey, Studs Terkel, and others, insights into stars like John Wayne, Lee Marvin, and Robert Mitchum, and his perspective on such influential directors as Ingmar Bergman, Martin Scorsese, and Werner Herzog. At the heart of all of Roger Ebert's work is his gift as a storyteller. And he will tell his own story with the wit, humor, poignancy, and insight that have been the hallmarks of his career for half a century.